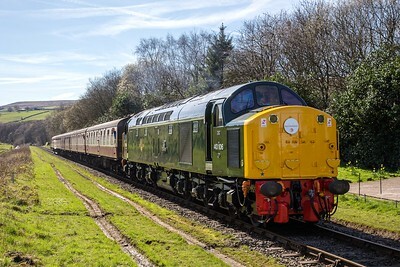 Class 40 Preservation Society's 40 106 pulls away from Irwell Vale on 25th March 2017, whilst working the 12.15 Heywood - Rawtenstall train on the East Lancashire Railway. 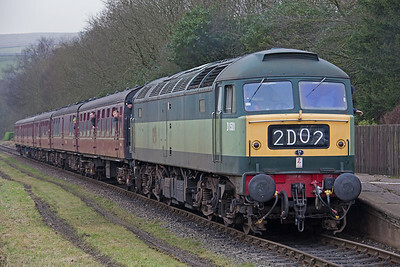 As D306, this locomotive entered service in October 1960 and spent her whole working life on the London Midland Region of British Railways, being withdrawn in April 1983. 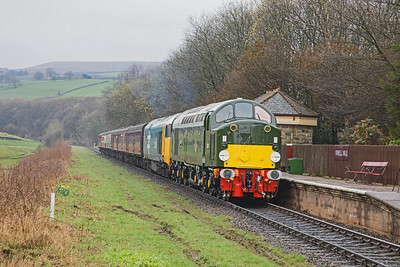 Her condition and appearence are a credit to her former owners and the CFPS. Long may she whistle! 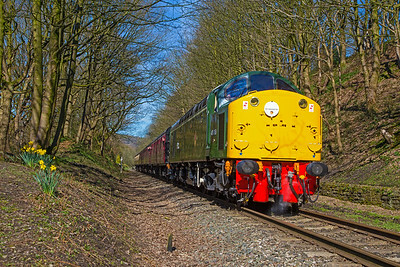 Spring has sprung on the East Lancashire Railway as 40106 steam heats the 11.05 Rawtenstall to Heywood as it leaves Summerseat on 25th March 2017. 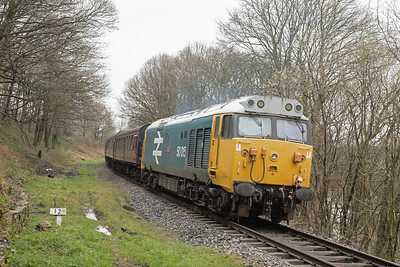 73.001 picks her way carefully out of the sidings at Ramsbottom with the stock that will form the 11.32 local service to Bury. ELR Gala 19th February 2017. 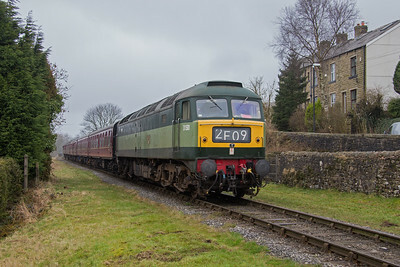 D1501 approaches Irwell Vale with the 14.26 Rawtenstall - Heywood. ELR Gala 19th February 2017. 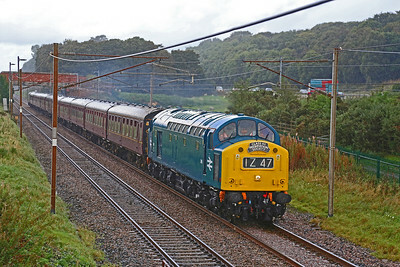 Brush Type 4 D1501 leaving Ramsbottom with the 10.35 Heywood - Rawtenstall service. 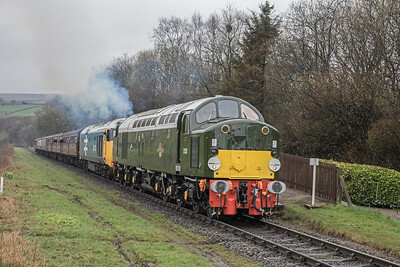 ELR Diesel gala 19th February 2017. 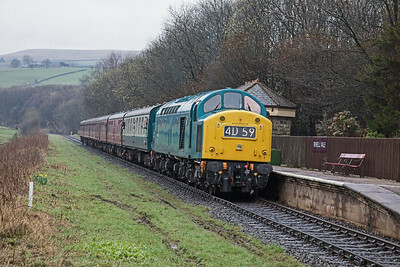 Class 50...50015 makes a fine sight as she rolls into Ramsbottom on the 10.56 Rawtenstall - Heywood. 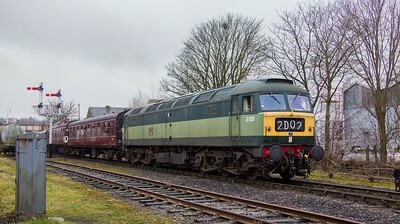 ELR Diesel gala 19th Februay 2017. 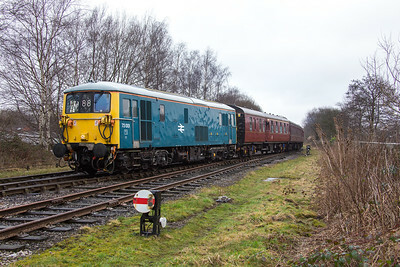 D1501 stands at Irwell Vale in charge of the 14.05 service from Heywood to . 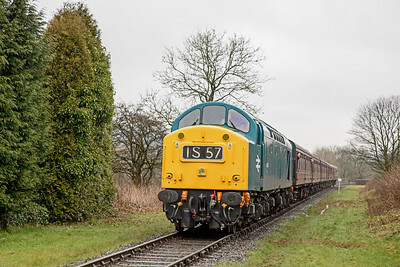 ELR Diesel gala 18th February 2017. 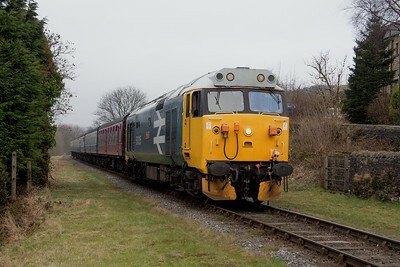 This is my favourite livery on a Brush Type 4... I was so impressed when I first saw one in 1963! 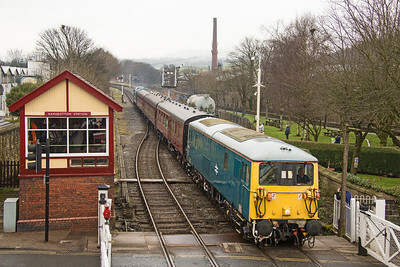 73001 draws into Ramsbottom Station with the stock for the 13.22 local service to Bury. 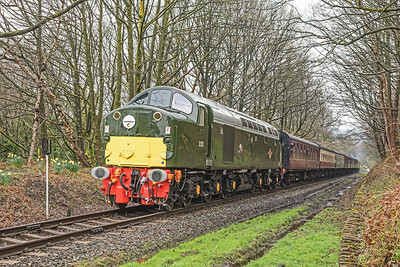 ELR Diesel gala 18th February 2017. 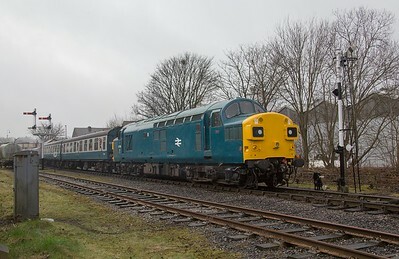 Class 50 No. 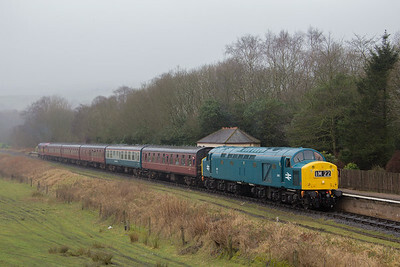 50 015 arrives at Irwell Vale with the 14.26 Rawtenstall - Heywood train. ELR Diesel gala 18th February 2017. 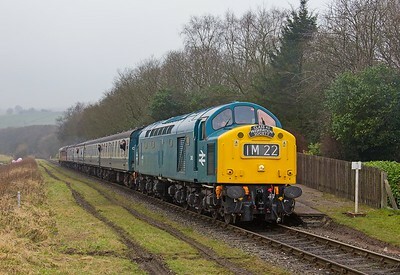 I had a ride behind this loco earlier in the day, which was nice..but not quite the same as when they charged up and down the WCML in the late 60's and early 70's! 31466 calls at Irwell Vale with the 09.45 Heywood - Rawtenstall on 18th February 2017. 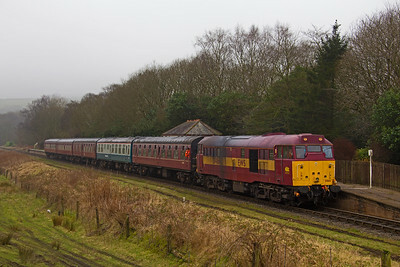 The train should have been headed by the newly painted 40.135 which had been sidelined with an electrical fault. 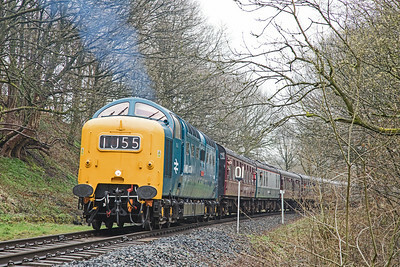 ELR Spring Diesel Gala. 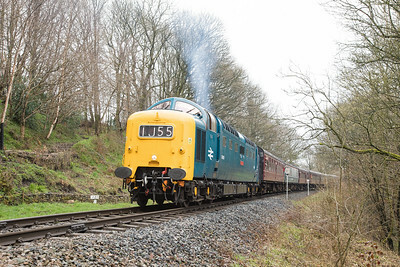 EE Type 4 D345 draws away from Irwell Vale whilst heading the 10.35 Heywood - Rawtenstall train during the ELR Spring diesel gala event...18th February 2017.